MARIETTA—In their highest-scoring game of the season so far, the Roswell Hornets last Friday maintained their undefeated record this season after defeating Walton High School with a final score of 55-10. 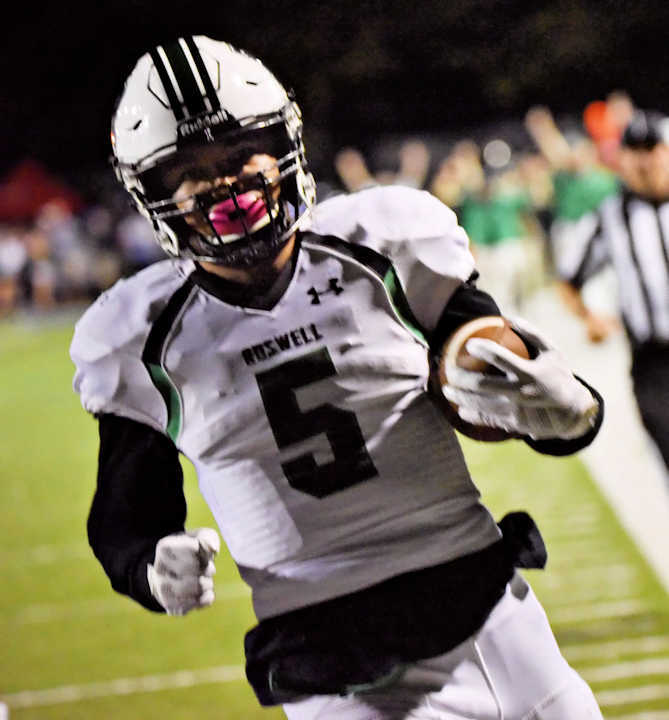 The first two of the evening’s eight Roswell touchdowns came from senior running back Sheldon Evans, who scored on a seven-yard run in the first quarter and a 16-yard run on the Hornets’ first drive of the second quarter. Evans followed up by carrying for 18 yards in three plays on Roswell’s next series. Senior wide receivers Jayden Comma and Kentrell Barber took it from there, with one reception each to bring the ball to the seven-yard line. A quick pass to Comma in the endzone allowed Roswell their third touchdown. The Hornets rounded out the quarter with three more scoring drives. Junior tight end Tyneil Hopper led the charge on the Hornets’ next series, a 78-yard scoring drive, with a 27-yard reception to start things off, and a one-yard pass to score. The Raiders responded with a touchdown of their own on the next drive, their only one of the night. Not to be outdone, Comma leaped through the air to take a pass 80 yards down to the endzone on the very next play of scrimmage, evading multiple defenders along the way. The third quarter started off with a Walton fumble recovered by senior cornerback LeAnthony Williams. 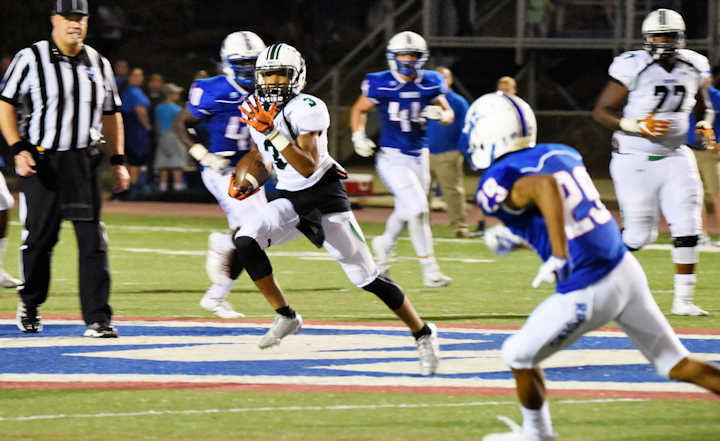 From the Raiders’ 43-yard line, Roswell built a scoring drive largely thanks to Evans, who accounted for over half of the yardage that the Hornets picked up on the way to the endzone, including a touchdown run for nine yards. Senior defensive back Xavier McKinney returned Walton’s punt on the next drive for the Hornets’ final touchdown of the quarter. 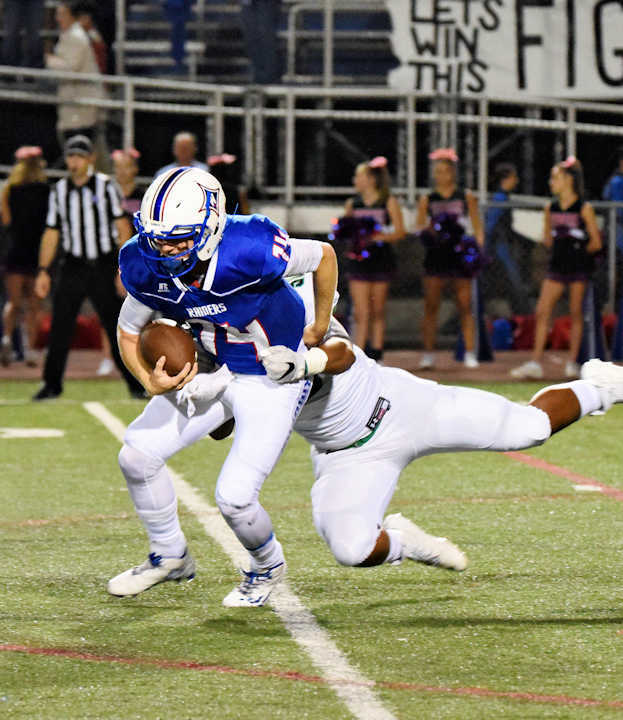 After another Walton fumble, this one recovered by senior defensive tackle Max Boyd, the offense took the field again for their final drive of the game. Stepping in for Evans and picking up right where he left off, sophomore running back Jajuan White grabbed the ball and just would not let go from there, accounting for 50 yards of the Hornet’s 60-yard scoring drive in the final quarter. A Walton field goal in the last minutes of game time left the score at 55-10. 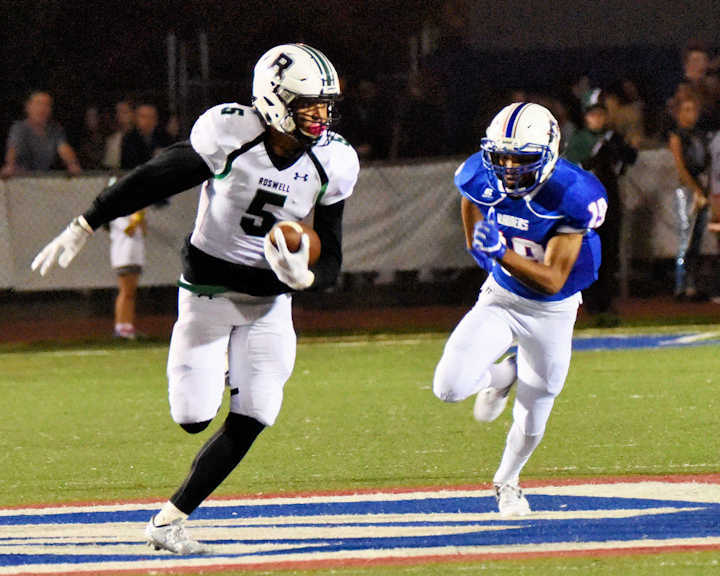 Defensively, Friday also marked the eighth consecutive time that Roswell has held their opponents to 14 points or less in a game. 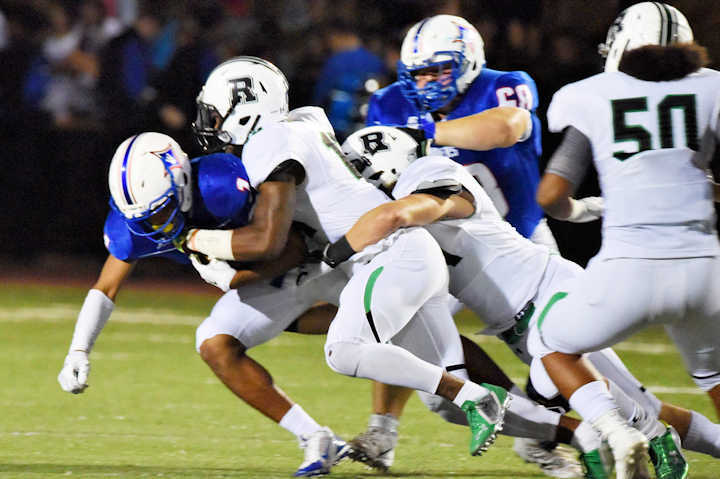 In addition to two recovered fumbles by Williams and Boyd, the defense also held Walton back with two sacks from senior linebacker Mitch Stone and senior outside linebacker Justin Ellis, both in the first quarter. After Friday’s game, there are now only three games remaining in the regular season. Roswell will play Etowah on the road on Oct. 21. After that, the Hornets will take on Woodstock at home, followed by Cherokee the week after.